Spend most of the time on Facebook? Watch Party is a new feature worth trying. One of the common ways of sharing useful and exciting things (Whether it’s a photo, a video, or an audio file) with your friends is by sharing it on social media. You need to publish it, and all your friends will watch it if it’s not lost with other posts on the timelines. 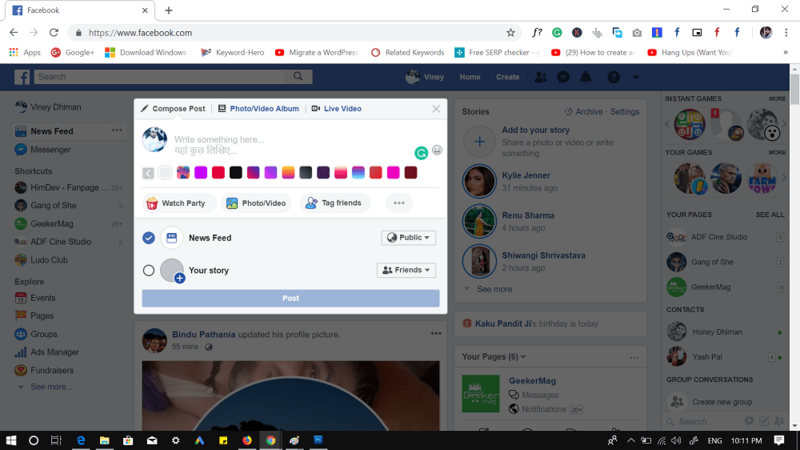 Recently, Facebook has introduced a new feature named as Watch parties, a new way to watch videos. 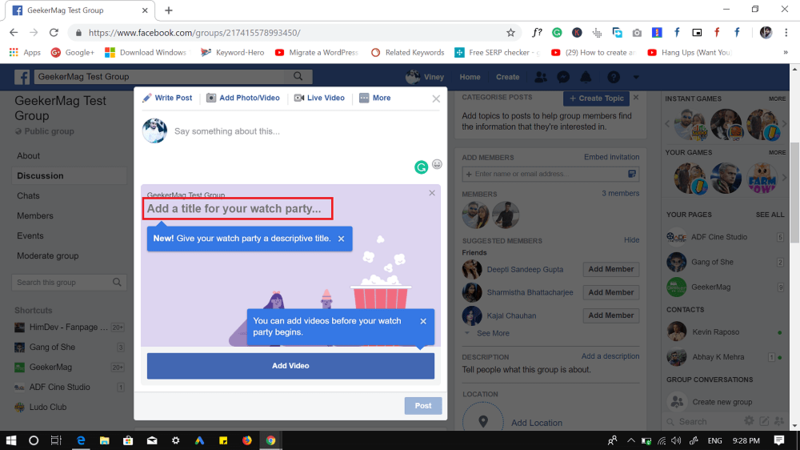 For those who’re unaware of this feature, it let users create a playlist of the videos available to watch on Facebook and let their friends join them as they watch it. 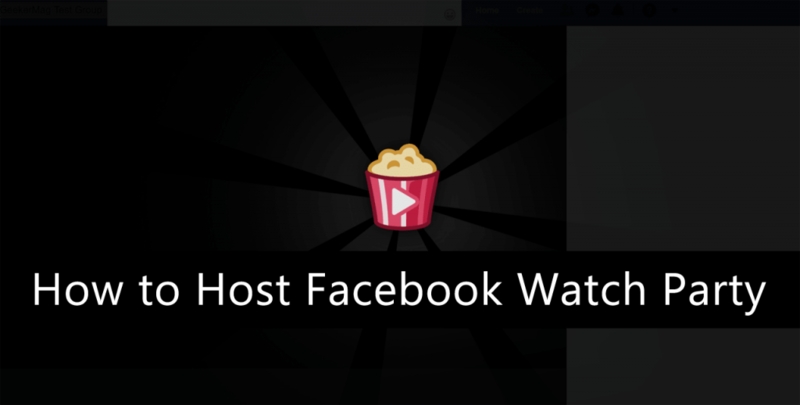 Facebook Watch Parties, is available on both web version and mobile app (Android and iOS). In case, you do not see it in your profile, then don’t fret, give two or three days. Also, make sure you’re running the latest version of the Facebook app. Since it is a new feature, not all the users know how to use this new feature. 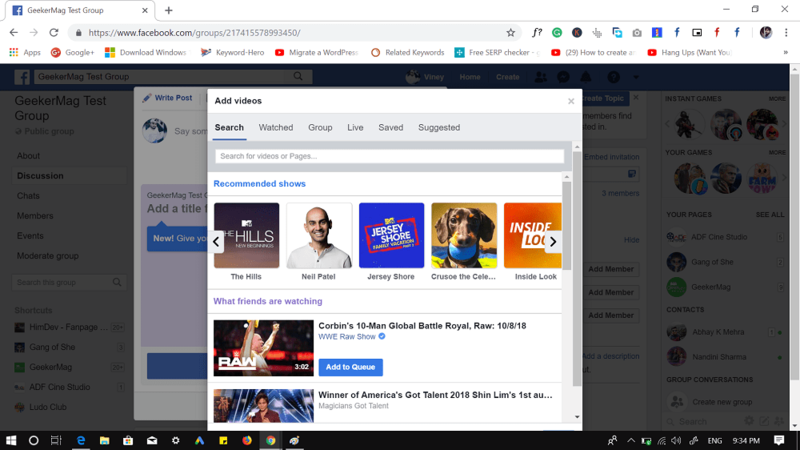 To help out those users I decided to cover this blog post featuring step by step instructions to host a watch party on Facebook. 1. Head over to facebook.com and log in using your credentials. You need to click on the Watch Party option. If you’re using it for the first time, you will see the following screen with the message “Introducing watch parties,” you need to click on the OK button. 3. In the space provided, you need to give a name to watch party. Don’t worry; you can also change the name later. 4. Next, click on the ‘Add video‘ button this will show you a list of the videos you have watched recently, you can also search for the videos. Pick the one you want to add to your watch party. Similar to watch party name, you can also add videos later. 5. At last, click on the Post button. All your friends will get a notification about a watch party, they can also join the party if they want. You can also invite your friends too. For that, you need to click on the Invite button available on the bottom left corner. 2. Next, tap on the “Write something here” field and select Watch Party. Here, you’ll find a similar option to select video and tag friends. Similar to the web version, you can also add videos and tag friends laters. 3. Atlast, tap on the Post button to host the party on your timeline. 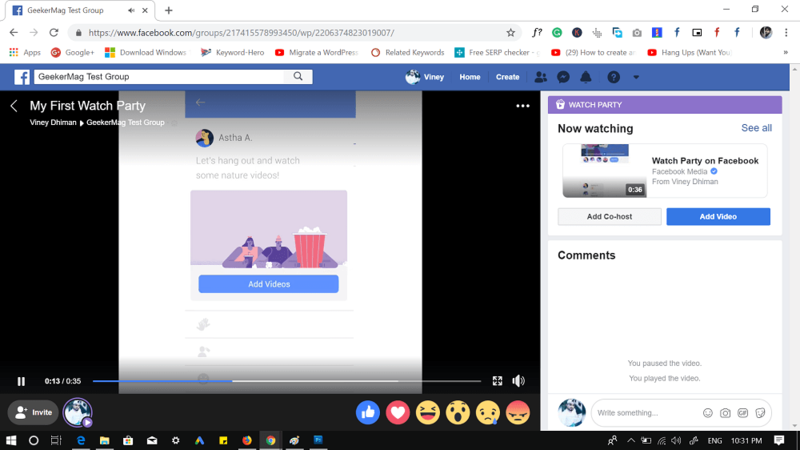 Once your Facebook watch party is live, it will appear on your timeline. Your interested friends can join it. Additionally, tap on the more options button, here you will find a link to share your watch party with your friends. You can pause the party, leave it temporarily or end it, whenever you want. 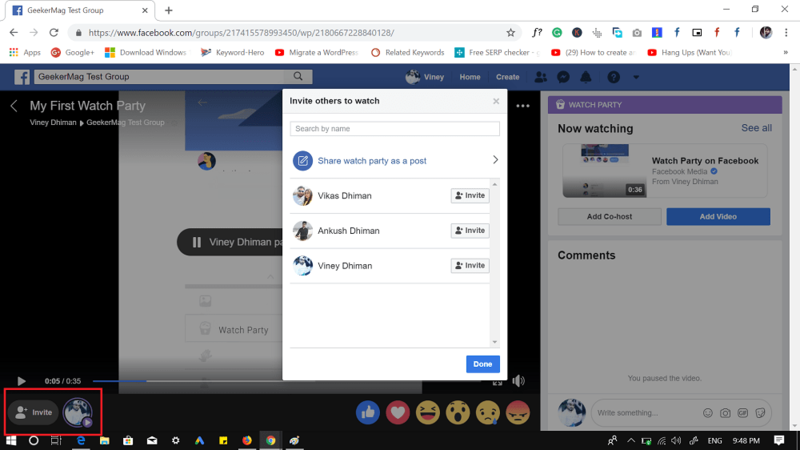 So this is how you can host a watch party on Facebook. Why don’t you try these steps and enjoy the new feature? What are your thoughts about Facebook Watch Party? Share your opinion in the comments.